Born and bred in Mildenhall, Richard joined the firm in 1986 and has now completed over 30 years' service. He is a member of the Association of Taxation Technicians. Richard is responsible for the management of the Mildenhall Office and was promoted on 1st April 2016 to an Associate of the Firm. He is a member of the firm’s farming and tax group. He also has a wealth of experience in dealing with sole trader, partnership and corporate businesses, encompassing personal tax and tax planning services. 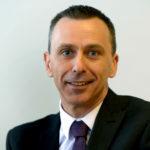 Richard is also a Committee member of Suffolk Chamber of Commerce Newmarket and District branch. Away from the office, Richard has 5 children and is a Trustee Director of a local Academy School. 21st December 2018 Making Tax Digital …… Only 100 days to go!